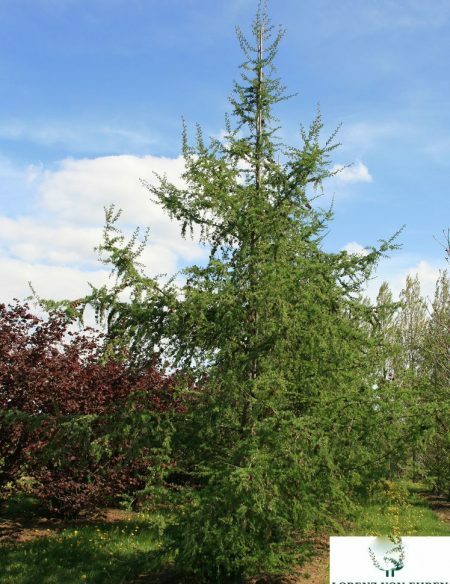 The Japanese Larch is a broadly conical deciduous conifers. In spring, the new foliage emerges a fresh uplifting lime green, and contrasts with the small reddish brown cones. In summer, the foliage mellows to a dark sometimes bluish green whilst in autumn, Larix kaempferi turns a vibrant golden yellow. The needles then fall to leave greyish red branches through the winter.